Synopsis: Food, Cooking & Recipes The Shelf2Life Food, Cooking & Recipes Collection is a unique set of pre-1923 cookbooks and other materials focused on food preparation, preservation and cooking instruction. From recipes for steamed dumplings, roast beef and pumpkin soup to peach pie, soft molasses gingerbread and baked custard, these titles offer ample instructions, all while igniting the senses. Tucked between pages teaching the art of carving and kitchen cleaning techniques are lively poems, songs and diary excerpts from enthusiasts around the world singing the praises of food. The Shelf2Life Food, Cooking & Recipes Collection provides cooking and baking enthusiasts a one-of-a-kind culinary experience from the kitchens of the late 18th and early 19th centuries. 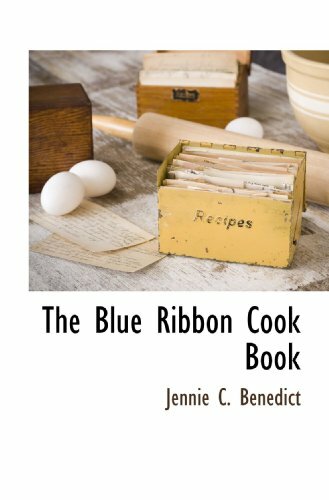 Review&colon; "The Blue Ribbon Cook Book" is a timely collection that is certain to bring more than just a bit of Kentucky flavor to the family dinner table. -- Larry Cox "Tucson Citizen"
All in all, it's a marvelous read, and a delicious way to revisit the commonwealth's culinary tradition. -- Pableaux Johnson "courier-journal.com"
Indeed, if you had only one cookbook in your home, this wouldn't be a bad one to consider, with its comprehensive, concise and easy-to-use recipes. -- Scott Hawkins "The Sun Herald"
The entire cookbook is charming. -- Mary Alan Woodward "The Voice-Tribune"